Email is an important component of any demand generation strategy. A survey of marketers highlighted that 73% believe that email marketing is crucial to their business’ growth, and that 59% of marketers planned to increase their email marketing budgets in 2015 (and if my inbox is any indication, it appears they have). As a means to introduce yourself to leads and prospects. To deliver the content someone has requested from your inbound marketing efforts. To nurture leads you’ve created. To communicate updates to prospects and customers. To keep a sales process moving on. You would think that with the time, attention and money placed on email, companies would have the process figured out and nailed down. Unfortunately, that is not true. Overall emails have not gotten any better over the last 10 years. 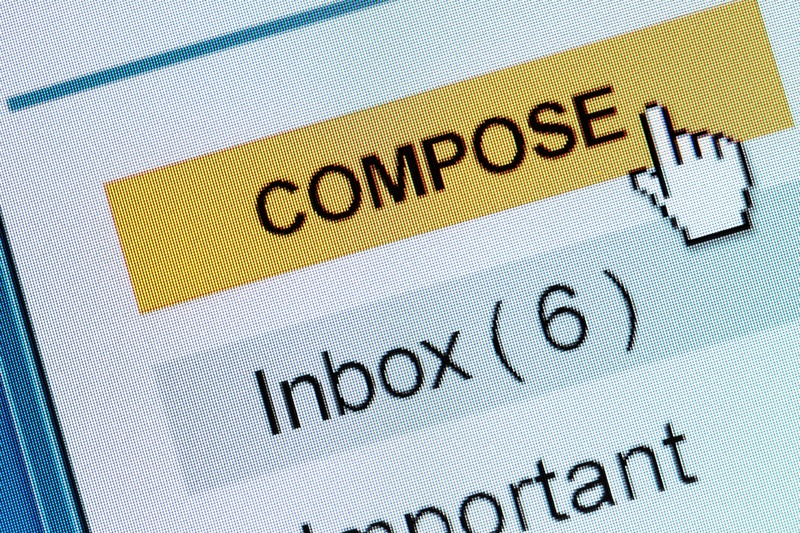 There’s a lot more noise, so the threshold for effective email communications is increasing. Email providers (like Gmail) make getting your message into a recipient’s inbox more difficult. The mistake this CMO was making was that he was confusing his results – horrible email conversion rates – with the real cause – bad email strategy and execution. I’ve literally reviewed hundreds of failed email efforts, and found that there are five primary causes for ineffective email marketing results. I have to admit that when I hear this, it’s like fingernails on a chalkboard. If you’re still looking at your email marketing efforts through the prism of blasting them, then don’t expect to get much from your efforts. At a recent presentation I was making on demand generation, a senior marketing executive shared with me that they had built a list of nearly 75,000 qualified leads, and he was asking me what the best email strategy would be for that list. I started my response by saying that the best thing he could do was to stop thinking that he had a list of 75,000. Instead he needed to think of it as 5 lists of 200, 4 lists of 2,500, and 6 lists of 10,000 (these groupings are for illustration purposes). The point here is that you can’t think of your database as a single database, but rather the combination of multiple segments of leads and prospects that apply to different buyer personas at different stages of the buying/selling journey. By segmenting your list, you gain the ability to customize your message to fit the context of the recipient, thus greatly increasing the yield from your efforts. Many years ago we sent out a single drip email to our entire database. A couple of years ago we segmented our email by personas so that we could personalize the content and the messaging. We saw 25% increases in open rates and 50% increases in click through rates. Today we’ve segmented our marketing emails by even more variables and have seen significant increases in results. On the marketing side, you must create greater personalization of your email messages if you want any traction. At a minimum, you must personalize your emails by persona. While the marketing side of the house has meaningful improvements they have to make, at least they have an excuse (they’re responsible for communicating with multiple leads simultaneously); the sales side is equally bad with no excuse whatsoever. The number of generic, crappy emails I see (or get) from salespeople at all phases of the sales process is simply embarrassing. When sending sales-oriented emails you must personalize your message to the individual and company level. The failure to personalize your message is a shortcut that will doom your email to trash. Look, I understand that just because someone is a salesperson doesn’t mean they can write (despite the amount of written communication required from salespeople today). That said boring emails are simply not worth the (well I don’t know what to call what they’re written on). With today’s email tools, you can create strong templates that can be customized by those sending the email out. This not only ensures that emails stay on message and meet the criteria of an effective email, but they ensure that they’re written well also. On the marketing side if you’re sending out boring emails (and please note that so many of you are), well you have no excuse. The core job of marketing is to tell a story. Every email – that’s right…every email – is responsible for telling your story. Before you load an email into your marketing automation tool, ask yourself: If I were a recipient of this email would I find it valuable and interesting? If the answer is no, rewrite it. Remember we must earn our prospect’s attention, and then we must re-earn it again and again. What are you offering in your email? Does that matter to your prospects? Nobody reads your emails for your reasons; if they read them, they’ll read them for their reasons. The content your offering is the equivalent of the bait when fishing. If you’re bait isn’t attractive or doesn’t “taste” good, it’s not going to resonate and your prospects won’t respond. Figuring out what they will respond to is one of the most difficult steps in any demand generation strategy. We’re currently working with a client who had a great degree of confidence in the content that their prospects would find valuable. As we’ve developed, shared and promoted that content we have confirmed that they are incontrovertibly not interested in that content. While the lesson has been painful, it’s also been quite positive. Thomas Edison would probably say something like we have successfully found quality content that does not work. In the process, we’ve learned a great deal that is already changing the sales message leading to greater traction of the sales process. We’re also creating more of the content that does resonate. We measure everything (well almost everything). We know the open and click-through rates of each of our marketing emails and sales emails. We’re constantly testing different messages and different approaches. Further we take the data we get from these measurements and use that as we craft new emails and adjust old ones. With today’s suite of tools there’s simply no reason not to be tracking and learning from every email you send. If you’re looking to improve the results from your email marketing, give it a quick check-up against these five causes for failure. Be sure that you’re constantly iterating and improving your emails, and you’ll see the traction and demand you’re looking for. Email marketing is an important element of any growth strategy. It is worth investing time and energy to make sure it is as effective as it can be. Evaluate your approach and correct the mistakes.